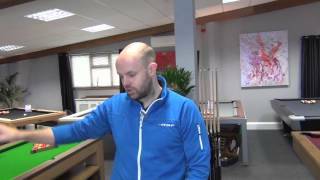 Here at Home Leisure Direct we have created a comprehensive set of video tutorials for Table Football. 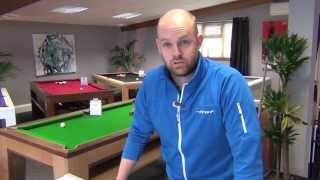 We can show you all the tips and tricks you'll need to get you playing at the top of your game in no time. 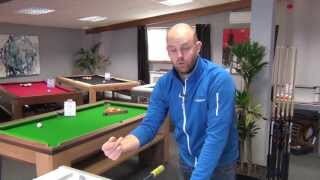 Ben Mason, Team GB Foosball player, has recorded a collection of videos with us to teach you everything you need to know about table football, or foosball. 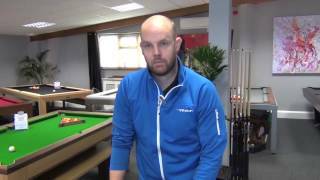 We have a number of videos that will appeal to both beginners and experts alike, which cover all of the rules of the game. 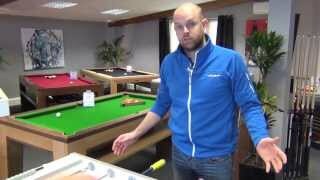 From the kickoff to a stationary ball or even one that leaves the table, Ben explains in detail what is and isn't allowed at every stage of the game. He also covers essentials such as table preparation, and what is required for a table to meet ITSF regulations. As well as explaining the rules, Ben can teach you a number of different shots, including the push shot and pull kick, so that you'll have full control over the ball at all times. When you're ready for some more advanced techniques, we have videos that can show you the nuances of passing and tic-tac play (passing back and forth between your players), and how to block opponents' shots and keep them from scoring. 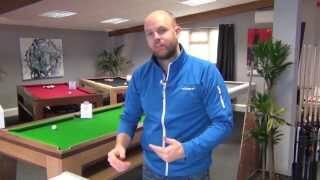 If you're looking for something more strategic, Ben even explains the psychology of the game and how to use it to your advantage. 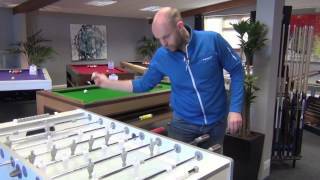 This comprehensive guide to Table Football will improve the match standard of any player. We also have a video interview with Ben explaining how he got into the game, short talks about competition play and coaching, and much more. 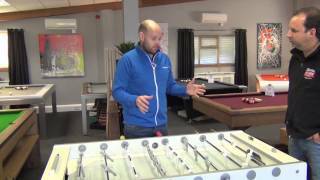 If you're looking for a foosball table on which to practise your newly-developed skills, we have a huge range and can advise you fully. 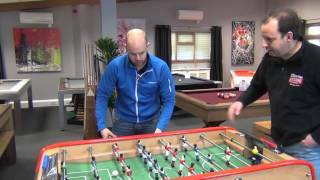 Our award-winning team have a wealth of experience and really know their stuff when it comes to foosball. With years of experience, we can hold your hand as much or as little as you like. If you are concerned about your space, size of the table or whether or not a table will fit in your space, then you can either download any of our “Will It Fit?” guides or call the team who will happily help you over the phone. Of course, the very best option is to visit our Showroom to see our range of tables, try them out for yourself and talk to our expert staff in person. 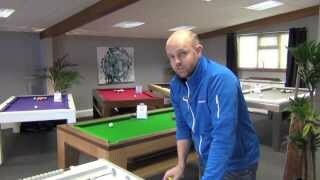 We believe visiting us will be the most fun showroom visit you will ever have. 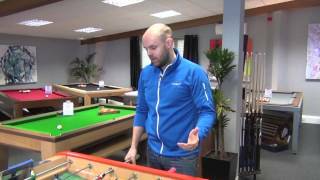 Whether you're looking for a foosball table, foosball accessories or one of our other fantastic games room products, we look forward to welcoming you soon with a freshly brewed cup of coffee and a truly enjoyable experience. 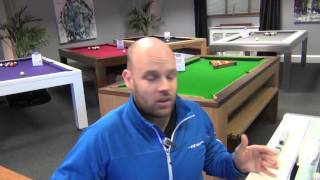 Take our Showroom Tour to see what awaits you. 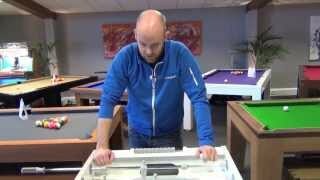 Have Serious Fun improving your table football game. 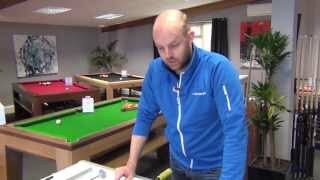 If you need any help with playing table football, purchasing a foosball table or one of our other services, please call us on 01454 413636 or 0800 622 6464, or you can email us sales@homeleisuredirect.com, or why not visit our amazing showrooms - here's How to Find Us. 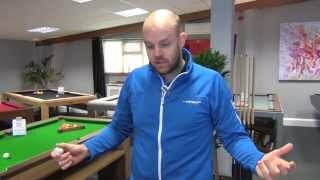 How to Play Foosball: Ben Mason Interview Ben explains how he got involved in the game and his achievements. 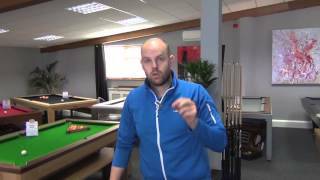 How to Play Foosball: Foosball Coaching Ben explains how to get coaching in foosball to improve your game. 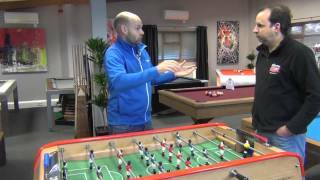 How to Play Foosball: Progress to Competition Play Ben explains how to progress to competitive play and tournaments. How to play Foosball: Progressing to ITSF Level Ben explains how to progress to competing in ITSF competitions. How to Play Foosball: Rules: Kick Off Ben explains how to kick off the game properly, as per ITSF rules. 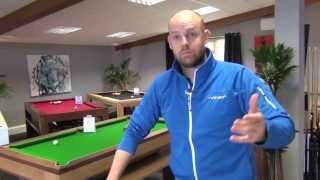 How to Play Foosball: Rules - No Spinning Ben explains how the rules govern the use/prohibit spinning during play. How to Play Foosball: Rules - No Jarring Ben explains how the rules affect players jarring the table. 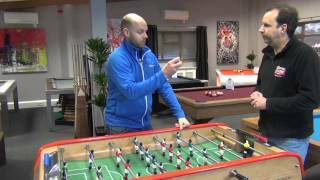 How to Play Foosball: Rules - Stationary Ball Ben explains how the rules deal with a stationary ball and what to do. How to Play Foosball: Rules - Ball Off Table Ben explains how how the rules treat a ball coming off the table. 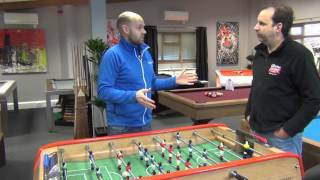 How to Play Foosball: Rules - Sportsmanship Ben explains how the rules govern sportsmanship and the requirements. How to Play Foosball: Rules - ITSF Tables Ben explains what the requirements are for football tables to be ITSF certified. How to Play Foosball: Preparing the Table Ben explains how to prepare the table for play at a high level. How to Play Foosball: The Pull Shot Ben explains how to play the pull shot. How to Play Foosball: The Push Shot Ben explains how to play the push shot. How to Play Foosball: The Pull Kick & Push Kick Ben explains how to play the pull kick and push kick shots. How to Play Foosball: Tic Tac Play Ben explains how to play tic-tac style passes between players. How to Play Foosball: The Pinshot Ben explains how to play the pinshot. How to Play Foosball: The Snake Shot Ben explains how to execute the snake shot to devastating effect. How to Play Foosball: Passing Ben explains how to pass effectively between players. 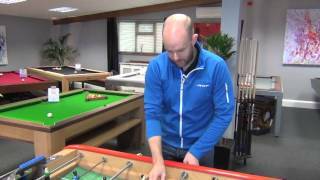 How to Play Foosball: Blocking Ben explains how to block shots and defend effectively. How to Play Foosball: Tactics & Psychology Ben explains about the psychology and tactics to master the game. How to Play Foosball: Women's Foosball Ben explains the women's side of the game and the tournaments available.